The ATF wants people to report guns stolen in the mail, since it happens about 1,500 times a year. 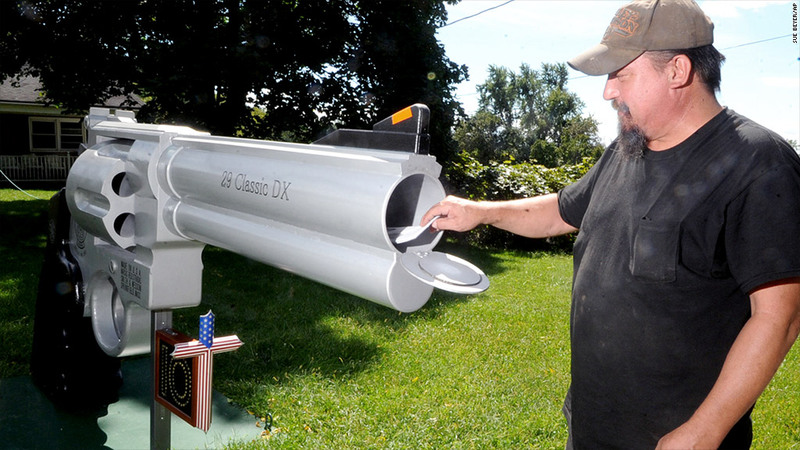 When guns go missing in the mail, there's no requirement to tell the law. But the federal government wants to change that. The Bureau of Alcohol, Tobacco, Firearms and Explosives is proposing a rule change that would require gun distributors to notify the federal and local authorities when shipped guns get lost in transit. The ATF published its proposal Tuesday and has opened it to public comment for 90 days. Federal law already requires licensed dealers and manufacturers to report the loss or theft of a firearm to federal and local authorities within 48 hours after the gun is discovered to be missing. But there is no such requirement for guns gone missing while they're in transit. Every year, about 1,500 guns turn up at crime scenes that disappeared during shipping, according to the ATF. ATF spokeswoman Dannette Seward said the number of missing guns could easily be higher, since the agency only finds out about them after they've been used in a crime and traced back to the shipper. "We have no way of knowing how many guns go missing if they don't get reported," said Seward. She said the agency is required to seek public opinion on a proposed change to its regulations. Larry Keane, spokesman for the gun industry group the National Shooting Sports Foundation, said the stolen guns make up an "infinitesimally small number" of the "millions and millions" of guns shipped every year. "But of course you don't want stolen guns out there because they could end up in the hands of bad guys," he said. The proposed rule would require the sender to alert authorities when the gun goes missing. But Keane said it should instead be the receiver who notifies the authorities. "If they don't get what they paid for and it doesn't arrive, then they're more likely to know that it went amiss than the manufacturer who sent it out," he said.